Let’s Get Wellington Moving was supposed to help fix our transport problems (or at least Do Stuff between Ngauranga and the Airport that would help). It’s a Big Deal – $3.2 billion. Since the last anyone heard from LGWM, one of the three parties has demonstrated such incompetence providing a decent bus service – a linchpin of a healthy transport network – that even the kindest and most diplomatic observer couldn’t argue with the (few) councillors who’ve called it a disaster. Councillors who’ve claimed “don’t panic”, and officers who’ve made statements to the media, have failed to show any data to back up their statements that things are going OK overall, so we’re left believing it really ain’t OK. Meantime, trains (beyond Ngauranga!) have fared slightly better, and in the context of ongoing line maintenance the latenesses pale into insignificance compared with the bus situation. Meantime too, Transmission Gully is forging ahead, “opening up more land” for what’s likely to be sediment-inducing, traffic-inducing subdivision being touted as an easy drive to Wellington City. People who should know better are still talking about LGWM building more road capacity into Wellington City to deal with traffic congestion. They’re demonstrating impressive staunchness in their conviction, in the face of all the evidence, that this will be a worthwhile investment. Yet the LGWM objectives – remember those? – should still be the North Star for all this work. It shouldn’t be possible to invest all that money and fail to meet most of one’s own objectives. Is LGWM going to make everything OK – in Wellington City at least? It’d be so great to believe that LGWM will Sort Everything Out! The principles are good. They have always been good – they were set after asking us about stuff we’re expert in: tjhe quality of life we wanted, the experiences we loved and hated. They were the stuff you’d expect a forward-thinking, developed-nation city of the 21st century to have. The government is inclined that way. Cabinet will need to be happy that the LGWM investments not only meet the initiative’s own objectives, but also that it’s consistent with the administration’s policy on transport. And that is a lot more focussed than ever before on future-proofed solutions: public transport including efficient mass transit, active modes, accessibility. Some hints are good. Damian George, in “How did the transport planners get it so wrong?“, casually mentions “The bus network also had to be adjusted for light rail – that project is expected to be announced in a few weeks – which relied on hubs and connections.” IN the previous “gold plated” Option D, mass transit was on some sort of never-never timeline whereas building more road capacity for cars was going to be done promptly – even within LGWM’s original goldfish-grade “future planning“. Does this mean the mass transit investment has been brought forward? We bloody hope so, but George’s wording is only “the project” (i.e. LGWM) will be announced. That we know. Nothing in LGWM will be about encouraging more car-commuting into the Wellington CBD. The KPIs for the project look pretty good. But, you’ll note, no indication as to what constitutes a “pass mark” for the project. Are they comparing with previous status quo and going “Hey, we’re improving!” or against an appropriate performance standard for a 21st-century city in a developed nation? We’re happy it’s been delayed. Auckland’s equivalent was given heaps longer than LGWM’s initial two years which ended up including a major earthquake that consumed officers’ time. Now we know Auckland’s bigger and yes ATAP encompassed the whole city rather than LGWM’s arbitrary chop off at Ngauranga, but the timeline to do this work was arbitrarily quick – and we have more complicated governance of transport down here. A bit more thought and work is all good. Don’t rush this – give yourselves a chance to do a proper job! The stakes are high: the city will be shaped by this investment for 100 years. Seriously. The origins of LGWM are in the débacle of the Basin Flyover, where NZTA officials’ sloppy logic and 1960s transport thinking were embarrassingly exposed. But what we need is experts to use their expertise. 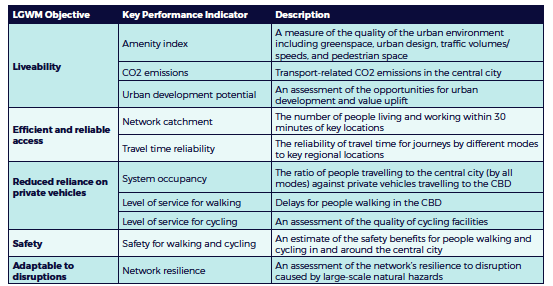 Beyond giving a good high-level shove on the outcomes we want, you shouldn’t involve the wider public in tool-level design of transport networks, any more than you should involve us in tool-level design of other complex things like climate change policy or public health systems. Yet it smells like politicians are looking to “design-level” feedback from the public and stakeholders and using that to qualify what officials tell them. Hold on, you say, are Talk Wellington saying don’t consult, don’t engage, on the single biggest project for 50 years? No of course we’re not. And it pains us to say “use your officials” when those organisations of officials have been responsible for the Basin débacle, and indeed the last 60 years of car-centric spending in Wellington. But that’s not a reason to get the public – with the kind of engagement we’ve seen – giving design-level input like they did in May. That’s asking us about the proverbial sausage, and the making thereof, when our expertise and the mandate we give government is about the sizzle – our experiences, the quality of life we want, how we feel about what we have. The citizens of a city don’t know anything about how many dollars per kilometer each option costs. They don’t know about lane widths, and how wide the city right-of-way is [, or whether route x or y will encourage greater usage of PT, or whether and how congestion pricing should be used, or the transport merits of grade separation at the Basin]. They know nothing about other things that may be important, like planned changes in sidewalks, utilities and developments. But the citizens of a city do know how they built environment makes them feel, and how they would like to feel. They are experts in how increasing taxes will stress them out. They are experts in hidden secrets of their streets and alleys. They are experts in the amenities they want for themselves and their family. Instead it should be incumbent on the planners to be really specific about how well any set of options is actually giving us the quality of life and outcomes we value. There’s been a lot of careful fudging, if you look between the lines of the comms – Greater Auckland wryly described it as “excellent marketing”. LGWM have been asking us how we feel about different options, without any proper information on whether these things will actually give us the kind of outcomes we want. A poor LGWM is one that’s awfully easy to do. It’s one that sends more money into the bottomless black hole of “bigger roads to fix congestion” because that’s what people believe will work – and some people may have campaigned on doubling the Terrace Tunnel). Yet no officials, at central or local government level, will suffer if this kind of crappy outcome is chosen. And that’s right, because an independent public service is an important thing, but while we’ve no outcome-based incentives for performance the “road well travelled” is pretty seductive. The only ones who can suffer are councillors, and their incentives are firmly in “keep current noisy voters happy”. Our short political terms mean the disruptive pain of building mass transit at the expense of private car driving will be borne by current (or next round) councillors, and the city will reap benefits in the next term (and all the terms beyond that). What councillor will want to be seen “hurting” noisy, articulate, peer-generation voters, and risking the wrath of Establishment Figures like Chamber of Commerce heads, even if that’s what those voters’ kids and grandkids (and many of their younger neighbours) want? This is the “loop back to the public” info (well done, good practice) from their website. So all up, we’re not confident LGWM will come and save the day and Fix transport. Why? Because I sat through (much of) the four-month Basin Reserve flyover hearing in 2014, read a lot of NZTA’s expert evidence, drafted cross-examination questions based on that evidence, and even did some cross-examination myself. And what I learned was: a lot of the applicant’s evidence was of very low quality, and therefore very easy to challenge. Did I know that because I was a transport planning expert myself? No, because I’m not. I knew it because I could see when conclusions didn’t follow from premises, and when assumptions weren’t justified by any evidence. That was the case, time after time, in NZTA’s expert evidence. Happily, Save the Basin and other groups opposed to a Basin Reserve flyover managed to engage experts whose evidence was of a higher standard. So, for me, the prerequisite to “just trust the experts” needs to be demonstrated evidence that experts are in fact experts, and not just people doing what they’re told by those who pay them. Expertise is never politically neutral – it serves a purpose, or an ideology, or a paymaster. Ok, I’m a huge fan of Public Transport and love the emphasis on public engagement being on the sizzle. So keep pushing for a vision that goes way further than just big vehicles with big wheels getting people close-ish to where they wanted to go. We CAN DO BETTER! Also, wherever I can get an EV related post in, I do. We need more EV chargers in Wellington. Its not getting cars off the road, but it is delivering on emissions/pollution. Christchurch has so many more per capita. DO IT!!! +1 all these ideas for making PT great. It shouldn’t be the poor cousin. EV’s are not a distraction if we are talking about transport emissions being 40%, but they are a distraction if we are talking about public transport exclusively. 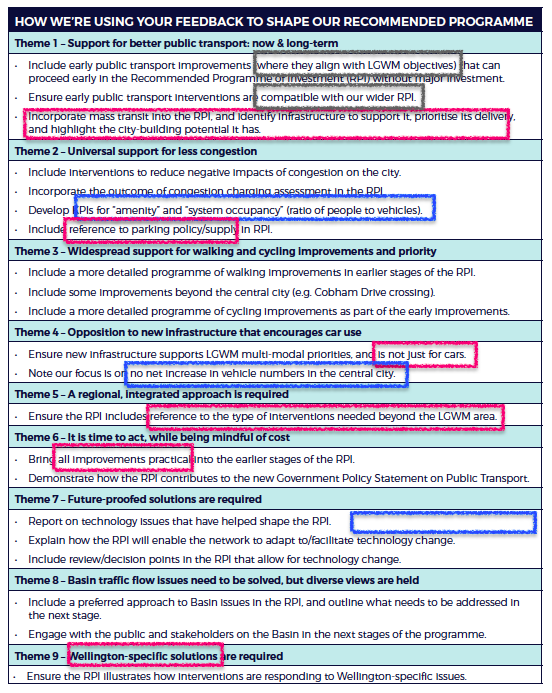 I think we need to take a whole approach to discussing the issue of transport. I’m a private car driver on some trips, a bus and train user on other trips and have been a big cyclist too. The topic (in my view) should be “Wellingtonians getting about” – and making that as easy, cheap, pollution free, congestion easing, enjoyable, active and social. 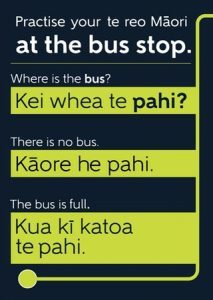 Otherwise you force people to identify as a bus person, a train person, a driver. It needs to be way more fluid than that. Hey Megan! This is really interesting “I see a subscription-based shuttle fleet (just a small, automatic electric vehicle) that plots on the fly the quickest routes from all the passengers in the area. Apart from the automatic vehicle part, we could be delivering on this RIGHT NOW. It would mean less empty seats and door to door… “- any cities doing this already that you know?